Now that we have Olaplex in our lives, we can push the envelope of coloring much more than ever before. This product enables us to achieve results without over compromising the condition of your hair. Olaplex help to rebuild the bonds of your hair that are broken during Blow-drying, Straightening, Colouring & Perming services, but also makes the bonds stronger than before. Top stylists have been testing this product, and thanks to them spreading the word, everyone now wants to get their hands…and hair on this amazing new technology! 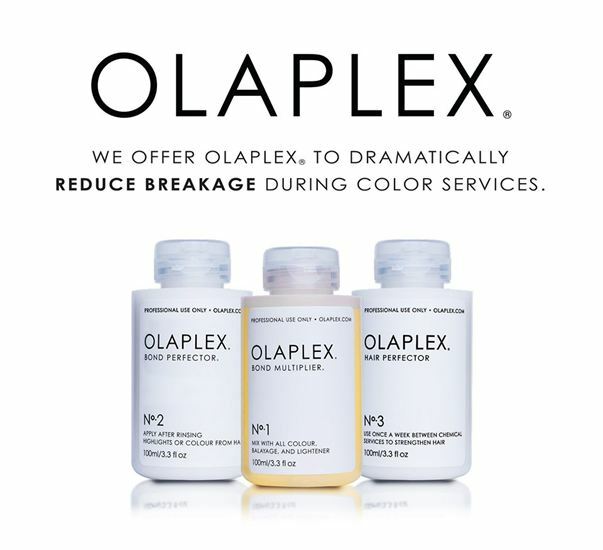 Olaplex is a product that can be added to Bleach, Colours & can be used alongside Perming or as a Stand Alone Treatment. Olaplex is a Gluten Free product & is also NOT tested on animals. No1-Bond Multiplier, this is the liquid that is added to Colours or used on dry hair for The Stand Alone Treatment. No2-Bond Perfecter, this is a creamy consistency that can be added to Semi permanents to enhance the colour. It can be used over the top of No1 in a Stand Alone Treatment or in wet hair after No1 has been rinsed out after a colour. No3-Hair Perfecter, this is the product of which you as a client can buy & take home to use. You can either sleep with this in your hair just like Kim Kardashian or leave on for a minimum of 10 Minutes before rinsing out. As previously mentioned we can add Olaplex to any colour, Perm or use as a Stand Alone Treatment. By adding this to Bleach we are able to lighten your hair much more than ever before without the worry of as much damage/Breakage. Great for Colour Corrections!! Using Olaplex with colours will enhance your colour, give your hair a recharge in condition & helps your colour last longer! Gone are the days of having to wait those dreaded 48 hours before washing your hair after a Perm, by using Olaplex alongside your Perming service, you are free to shampoo & condition your hair straight away! 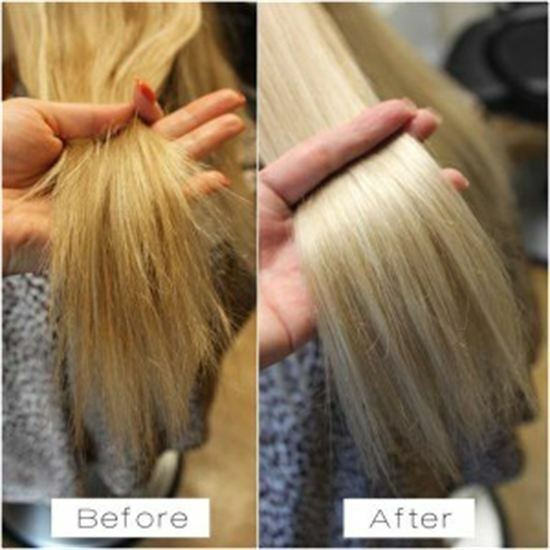 Our Stand Alone Treatments are amazing, notice the difference in the condition of your hair straight away! Pop into the salon and see a friendly member of our team.